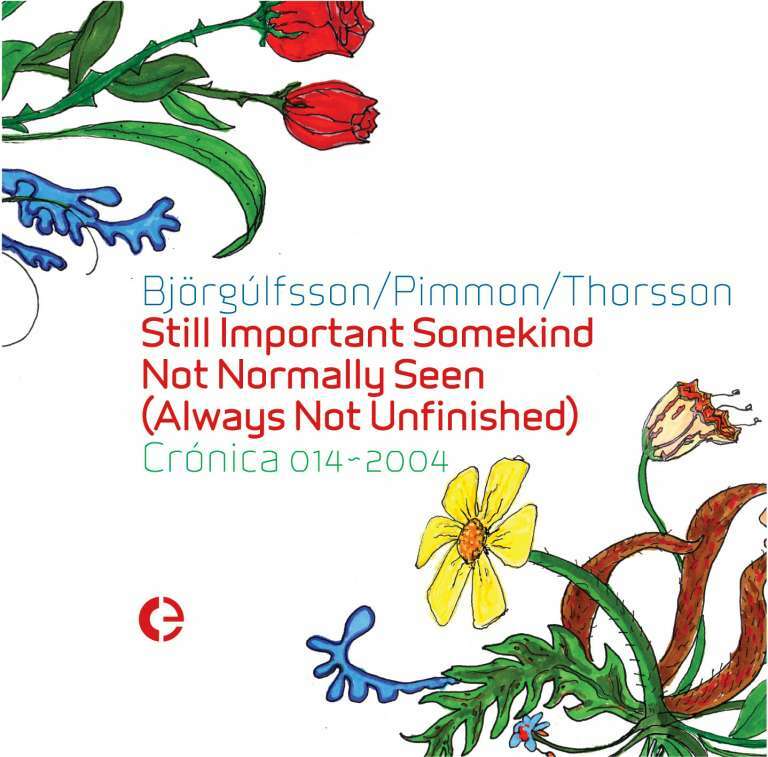 Still Important Somekind Not Normally Seen (Always Not Unfinished) is Crónica's fourteenth release and documents an astonishing performance by Heimir Björgúlfsson, Pimmon and Helgi Thorsson, recorded live at the Melkfabriek, Den Bosch on october 5-6th 2002, later edited by Robert Hampson at Thirst, London in november-december 2002. Still Important Somekind Not Normally Seen (Always Not Unfinished) output was originally commissioned by Earational Festival. All tracks by Heimir Björgúlfsson, Pimmon and Helgi Thorsson. Special thanks to Anton Viergever without whom this would have been completely impossible.